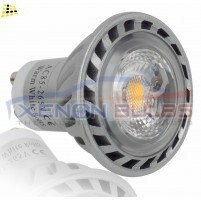 4W 24 SMD GU10 LED Bulb, 40W Halogen Lamp Equivalent Day White.. These LED bulbs are manufactured to the highest possible standards making them an ideal bulb for rep..
5W GU10 LED Bulb, 40W Halogen Lamp Equivalent, Sharp COB..
A++ rated. 40,000 hours average rated life. 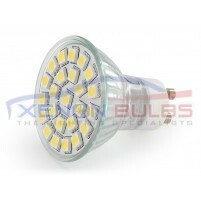 High quality, bright chip on board (COB) LEDs with..
5W GU10 LED Bulb, 40W Halogen Lamp Equivalent, Sharp COB Warm White 30..